Top Producer for over 20 years! All of Frank’s professional services are provided with a personal touch. He is your key to a successful transaction! 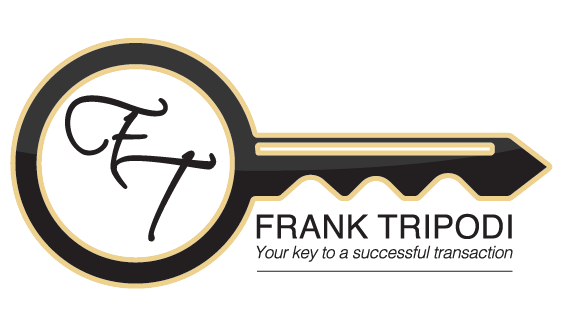 Frank Tripodi is a full-time Real Estate Broker with more than 20 years of experience as a Certified Market Specialist, and Short Sale & Foreclosure Specialist. Several times over the years, he has been awarded the honor of #1 agent in the Bradley Office for units sold. Due to his high ethical standards and care for his clients, most of Frank’s success has come from referrals and testimonials. His clients have his continuous pledge to serve their needs and interests with the utmost integrity. Are you considering buying or selling in Kankakee County, Iroquois County, Will County or Cook County? Frank specializes in, but is not limited to, communities including Bradley, Bourbonnais, Manteno, Kankakee, Herscher, Chebanse, Clifton, Richton Park, Matteson, Chicago Heights, Beecher, Crete and more. Selling your home may be the largest financial transaction you will ever make. By choosing to work with a with a reputable, honest, trustworthy, local real estate broker who is knowledgeable in your area, you’re more likely to sell quickly and at the best price possible. Did you know that staged homes sell for a higher price and in a shorter amount of time? This is especially true in a competitive real estate market. Frank will work with you to recommend unique ways to stage your home to sell. Sometimes just a few minor changes can make all the difference. Frank uses an innovative marketing strategy that includes digital and traditional advertising when listing your home. You will have maximum exposure online; including various social media platforms, numerous real estate websites, and email marketing. He will also utilize available print media including professionally created postcards and property brochures. All of Frank’s marketing pieces whether digital or print include professional photography. After you receive an offer on your home, Frank negotiates the purchase contract on your behalf, and handles all necessary paperwork and supervises at the closing. He takes care of everything you need, from start to close. Frank Tripodi is a real estate broker who recognizes the changing market trends, and adapts his home search efforts to maximize his client’s success. With his strong market knowledge and marketing expertise, it is no wonder that Frank’s clients have only success finding heir dream home. Begin your search here online. Buying a Foreclosure or a Short Sale in Kankakee County? If you want to avoid the pitfalls & risks when buying a foreclosure or short sale, your best bet is to work with an experienced foreclosure/short sale agent who knows the intricacies involved with these types of transactions. Searching for and purchasing distressed properties is extremely involved and requires a great deal of expertise. When working with Frank, he will do al of the legwork on your behalf. He handles all the necessary property disclosers and explains the unexpected costs involved. He will work with you throughout the entire process to ensure you have a successful transaction.